I was recently commissioned by Art Glass pioneers Higgins Glass Studio to photograph some work for Architectural Digest Magazine's December issue. I'll also be photographing several on site installations over the next several months. 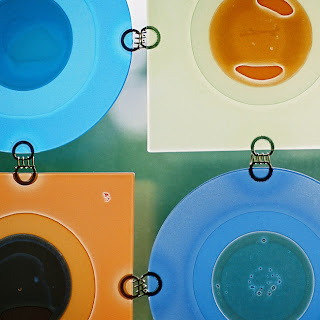 Higgins Glass is considered one of the best and earliest examples of the Art Glass movement. My wife and I own several pieces, our favorite being the Eames era Rondelays, as pictured here. Click here to see more photos.